Directed by Ben Fama Jr.
Have you ever wondered why people believe things like religion, spirituality, conspiracy theories and political ideology without evidence? Why it is so hard to change their minds, even after presenting the facts? Reasons To Believe is a thought-provoking documentary by filmmaker Ben Fama Jr., that explores the psychology and science of belief and why we believe, sometimes falsely, in things that may not match up with reality. 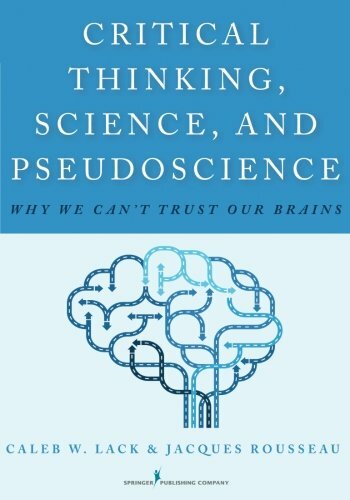 Facilitated by leaders in the fields of science, philosophy, neuroscience, moral reasoning, psychology, perception, memory formation, and indoctrination, these experts answer a variety of thought provoking questions and provide tangible structure to the definition and creation of belief in the human brain. 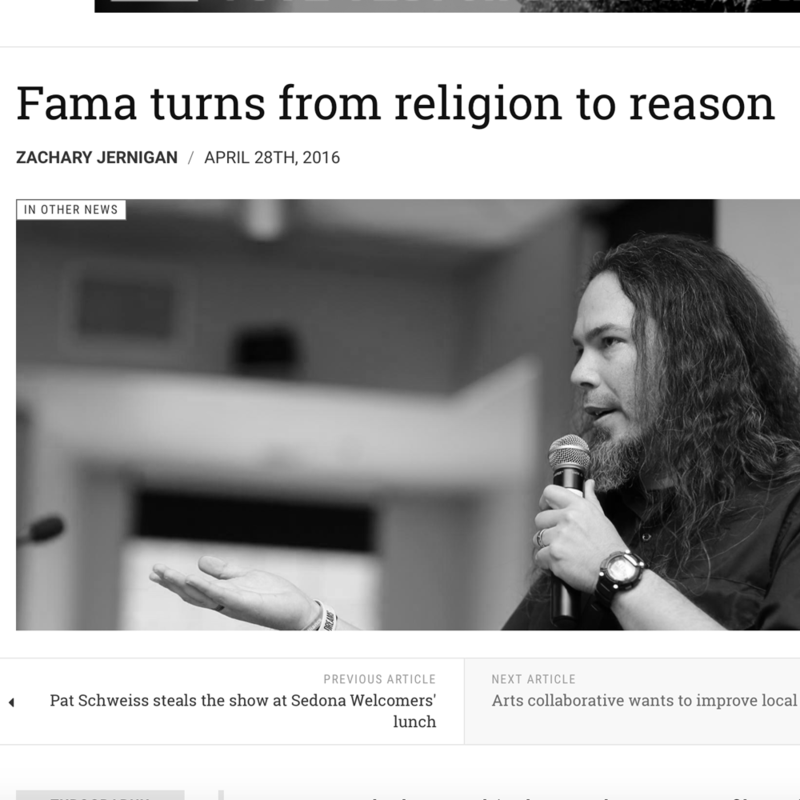 Fama asks the question: Why do we believe? Starring Michael Shermer, Peter Boghossian, Jennifer Whitson, Caleb Lack and Chad Woodruff. Dr. Michael Shermer is an American science writer, founder of The Skeptics Society, and Editor in Chief of its magazine Skeptic, which is largely devoted to investigating pseudoscientific and supernatural claims. His new book is The Moral Arc: How Science and Reason Lead Humanity Toward Truth, Justice, and Freedom. 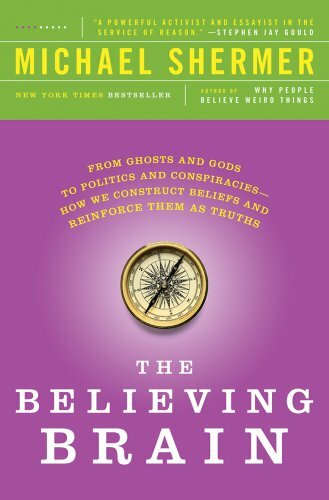 He is also the author of The Believing Brain: From Ghosts and Gods to Politics and Conspiracies—How We Construct Beliefs and Reinforce Them as Truths. Shermer produced and co-hosted the 13-hour Fox Family television series Exploring the Unknown. Since April 2001, he has been a monthly columnist for Scientific American magazine with his Skeptic column. He is also a scientific advisor to the American Council on Science and Health (ACSH). As a public intellectual he regularly contributes Opinion Editorials, book reviews, and essays to the Wall Street Journal, the Los Angeles Times, Science, Nature, and other publications. Dr. Shermer received his B.A. in psychology from Pepperdine University, M.A. in experimental psychology from California State University, Fullerton, and his Ph.D. in the history of science from Claremont Graduate University—where he also teaches a transdisciplinary course for Ph.D. students. He appeared on such shows as The Colbert Report, 20/20, Dateline, Charlie Rose, and Larry King Live (but, proudly, never Jerry Springer!). His two TED talks, seen by millions, were voted in the top 100 of the more than 1000 TED talks. Shermer was once a fundamentalist Christian, but ceased to believe in the existence of God during his graduate studies. He accepts the labels agnostic, nontheist, atheist and others. He has expressed reservations about such labels for his lack of belief in a God, however, as he sees them being used in the service of "pigeonholing", and prefers to simply be called a skeptic. He also describes himself as an advocate for humanist philosophy as well as the science of morality. 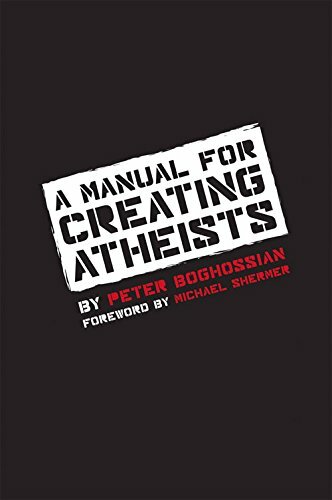 Dr. Peter Boghossian is an American philosophy instructor, activist, author, speaker, and atheism advocate. He is a full-time faculty member at Portland State University. His primary research areas are critical thinking, philosophy of education, and moral reasoning. Boghossian is a speaker for the Center for Inquiry, the Richard Dawkins Foundation for Reason and Science, and the Secular Student Alliance. He has been nominated as a member of the Global Secular Council. His book, A Manual for Creating Atheists, was published in 2013. In it, he describes what he dubs “street epistemology,” a set of techniques that atheists can use in personal conversations with religious believers to get them to think more critically with the eventual goal of religious disaffiliation. The book has inspired the creation of independent “street epistemology” groups. 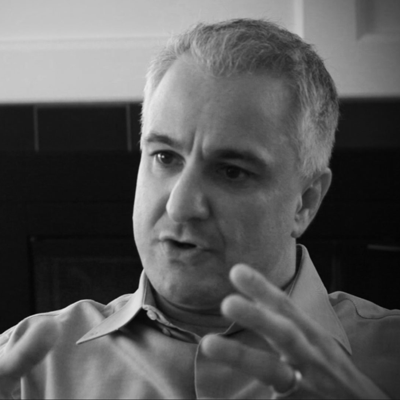 Dr. Peter Boghossian's main focus is bringing the tools of professional philosophers to people in a wide variety of contexts. Peter has a teaching pedigree spanning more than 25 years and 30 thousand students - in prisons, hospitals, public and private schools, seminaries, colleges and universities, Fortune 100 companies, and small businesses. His fundamental objective is to teach people how to think through what often seem to be intractable problems. Boghossian’s publications can be found in Scientific American, Diálogos, The Philosopher's Magazine, Skeptical Inquirer, Education Policy Analysis Archived, The Clearing House: Educational Research Controversy and Practices, The Radical Academy, Offender Programs Report, Teaching Philosophy, Corrections Today, Informal Logic, The Skeptic, Journal of Philosophy of Education, Educational Philosophy and Theory, Inside Higher Ed, Essays in Philosophy, Federal Probation Journal, and the Journal of Correctional Education. Boghossian was a Councilman for the State of Oregon (LSTA). He teaches Critical Thinking, Science and Pseudoscience, the Philosophy of Education, and Atheism and New Atheism at Portland State University. He is also an Affiliate Research Assistant Professor at Oregon Health Sciences University in the Department of General Internal Medicine. Caleb W. Lack, Ph.D. is an Assistant Professor of Psychology and Counseling Practicum Coordinator in the Department of Psychology at the University of Central Oklahoma. A clinical psychologist licensed to practice in both Oklahoma and Arkansas, Dr. Lack is the author of more than 30 scientific publications relating to the assessment and treatment of psychological problems such as Obsessive-Compulsive Disorder, Tourette’s Syndrome, pediatric mood disorders, and post-traumatic stress. In addition, Dr. Lack has presented nationwide and internationally at conferences on a variety of topics, including children’s reactions to natural disasters, computer-based treatment of substance abuse, innovative teaching and training methods, and more. He is on the editorial board of several respected scientific journals as well as a peer-reviewer and a grant reviewer for national agencies. Dr. Lack’s clinical interest in evidence-based practice developed while in graduate school for Clinical Psychology at Oklahoma State University and during his pre-doctoral internship in Clinical Child/Pediatric Psychology at the University of Florida. He specializes in the treatment of children and adults with anxiety disorders (particularly obsessive-compulsive disorder), psychological assessment, and has extensive experience with persons with chronic tics and Tourette’s Syndrome. He has consulted for and been interviewed by local, national, and international media outlets. Jennifer Whitson received her Ph.D. from Northwestern University in Management and Organizations, and her BA from the University of California, Irvine. Her research focuses on illusory and accurate pattern perception and how the experience of power changes the way we come to understand the world around us, and has both psychological and management implications. Her research has received numerous media mentions including Newsweek, The Wall Street Journal, The Boston Globe, Chicago Tribune, New York Times, Telegraph, and Psychology Today. She also replicated her experiment for Morgan Freeman’s TV show Through The Wormhole. 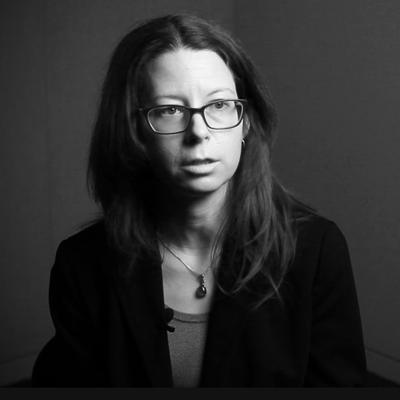 Whitson co-authored an article published in the Journal of Experimental Social Psychology titled “The Emotional Roots of Conspiratorial Perceptions, System Justification, and Belief in the Paranormal.” It reports the results of experiments the authors conducted after predicting that experiencing emotions reflective of uncertainty about the world (e.g., worry, surprise, fear, hope), compared to “certain” emotions like anger, happiness and disgust, would activate the need to imbue the world with order and structure across a wide range of compensatory measures. They found that self-affirmation eliminated the effects of uncertain emotions on compensatory control. 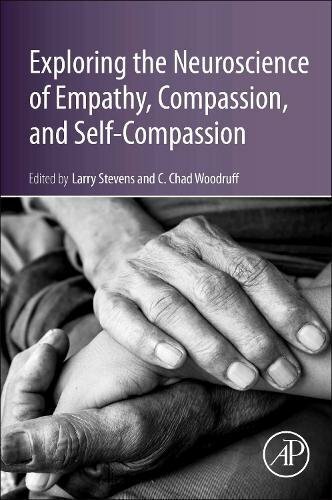 Dr. Woodruff is a Social Neuroscientist whose research aims to elucidate the brain mechanisms underlying empathy, sympathy and compassion as well as religious belief. He uses electroencephalography (EEG) to measure various brain signals, investigating how these signals relate to social neuroscience topics. Much of his research focuses on Batson's Empathy-Altruism hypothesis in which failure to adopt another person's perspective is related to greater personal distress and the subsequent effect on the EEG signals believed to reflect the activity of mirror neurons. These are neurons that not only code the intentions of an individual, but also seem to reflect the intentions of those with whom the individual interacts: active guessing compared to passive observation. Among the most important findings in his laboratory are that putative mirror neuron activity has a complicated relationship with empathy in which one’s empathic abilities increase with the ability of his/her mirror neuron systems ability to distinguish self from other (self-other discrimination). Dr. Woodruff maintains a vibrant lab, typically employing 10-15 students (graduate and undergraduate) who participate in all facets of the research process. Reasons To Believe Screening with Peter Boghossian, Chad Woodruff, Mesa Fama and Ben Fama Jr. 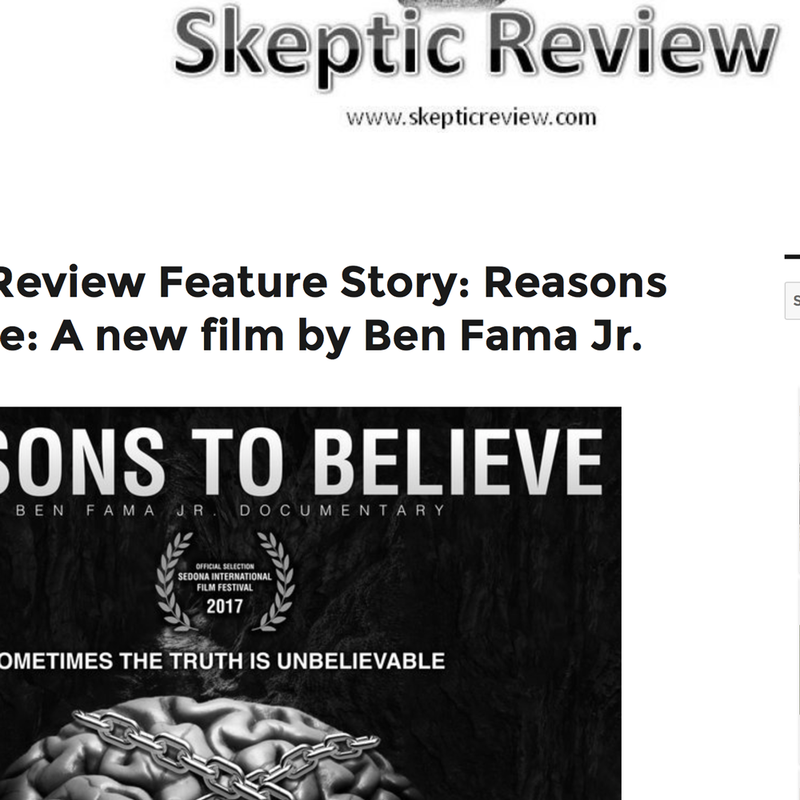 Skeptic Review Feature Story: Reasons to Believe: A new film by Ben Fama Jr.